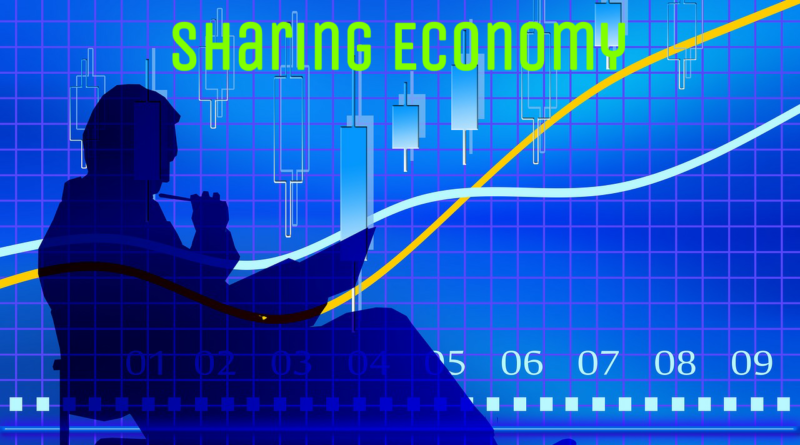 According to a survey conducted by PWC, it is estimated thata the Sharing Economy in Europe will experence an exponential growth from the current € 28 billion to € 570 billion. In other words, all sectors will increase in value 20 times that of the current figure. The analysis predicts that 85% of all receipts will favour micro-entrepreneurs who work with on-line platforms. 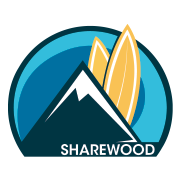 This very involved micro-entrepreneur sector will be the one that achieves the greatest success in the sharing economy. Peer-to-peer transportation is the biggest sector in Europe, just belw perr-to-peer accomodation. 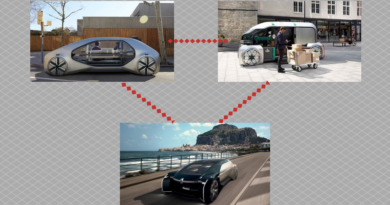 By 2025, peer-to-peer transportation will be leading the field. It alone will account for 40% of the market. The highest growth between the key sectors will be on-demand household services, wich will overtake peer-to-peer accomodation thaks to a strong growth of 50%. 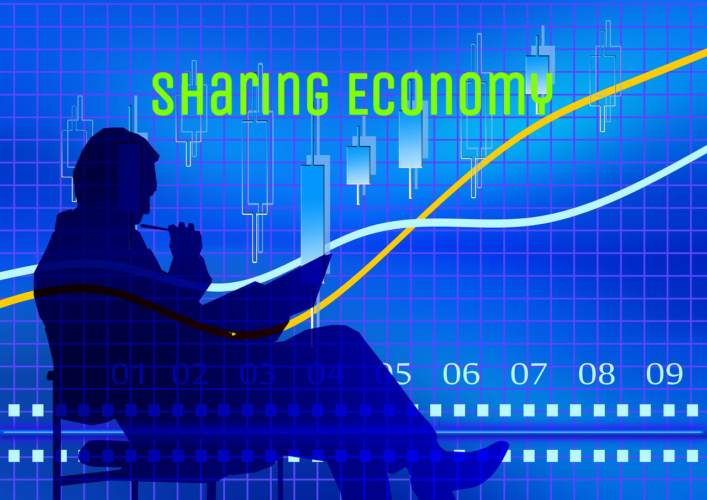 In Europe, there are 275 companies operating in the Sharing Economy according to PWC study. The countries where there is the greatest penetration are France and United Kingdom, both of which have more than 50 companies each. There are more than 25 companies in each of Spain, Germany and The Nederlands. Italy, Sweden, Poland and Belgium have less than 25 companies each. 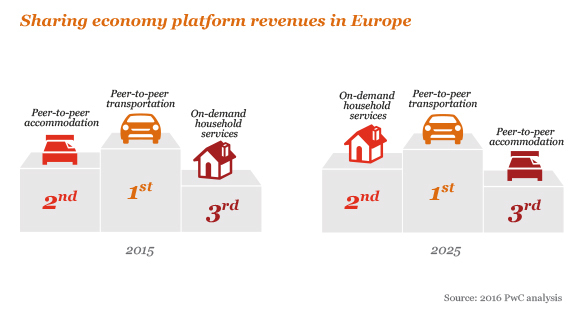 Another PWC study highlights how the UK has been, for a long time, targeted to become the leading country in the European sharing-economy sector. London has long been active on the legislative front to regulate the sector, along with politicians who have an interest in creating a positive development environment. For example, the rapid rise of peer-to-peer finance has in part been fostered by regulatory developments with the introduction of the ISA wrapper. In 2014 Communities Secretary, Eric Pickles published a guide for local authorities to enable and encourage the sharing of parking spaces between individuals through the JustPark platform. The English experience demonstrates how a smart regulation and proactive politics can be determiners for the development of the Sharing Economy. 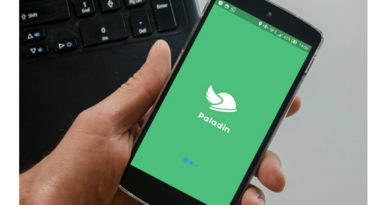 It’s similar to what happened inMalt with bet-online, where the Maltese administration was ine the first to act to regulate the sector which atrracted the biggest companies in the sector. This had a positive effect on the local economy. Surely the English recipe would be also useful in Italy. 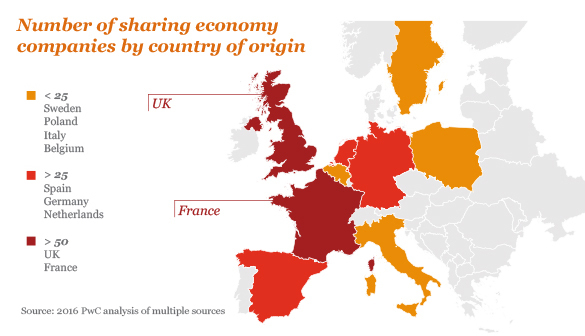 As the PWC study noted, Italy like Spain, has some features in ths socio-cultural DNA that make it a more fertile ground for growing the sharing economy than other places. According to research commissioned by PHD Italy in 2015 and carried out in June 2016 by the University of Pavia, this market generated business worth € 3,5 billion. In 10 years time, this sector could be worth up to € 25 billion. 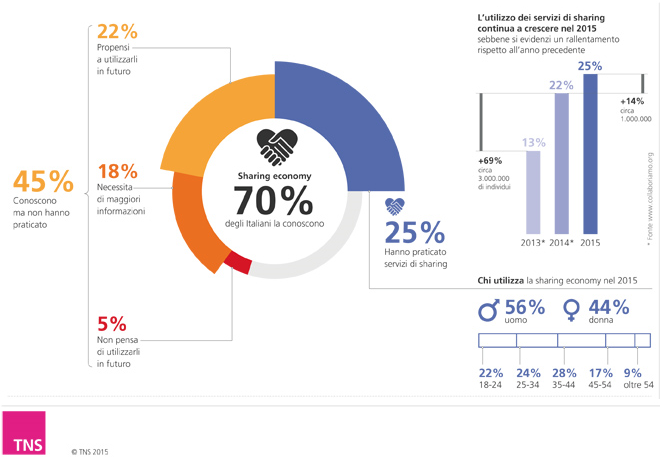 According to the study conducted by TNS, the use of Sharing Economy platforms in Italy cross all generation and occupations. Obviusly, the phenomenon is particularly successful with young Millennials who represent 24% of the users but the study shows that it has also been particular success in the 35-44 year age group. This group, the so-called “X Generation“, makes up 28% of users, thus demonstrating the fact that phenomenon effects a larger range of users than previously thought. 70% of those interviewed knew of the Sharing Economy, with an average of one in four Italians already involved and boding well for further growth. Despite the facy that the numbers are quite significant and good growth has been recorded, Italy is still behind its major European partners. One very important limiting factor is the deleay in the digitaliztion of the Italian economy and society. Indeed, according to the Digital Economy and Society Index 2016 (Dise), an index created by the European Commission to measure the degreeof digital diffusion in EU countries, Italy ranks 25th out of 28 countries in the European Union. Another limiting factor cited is the lack of clear rules to regulate the sector and allow more freedom of movement. In January, for example, the law, approved by Camera dei Deputati, which regulates home-restaurant activity raised a lot of criticism. Well if the operators require greater clarity to work legally, then this of course creates, rules that also “clip the wings” of sectors with great optential and achieves the opposite of what was intended. 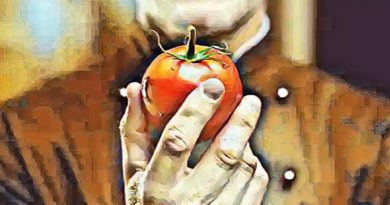 From the numeberspresented by several studies, what we hope is that the future and the real opportunity of Sharing Economy development will be understood and appreciated by a whole community. Also, the Italian socio-cultural DNA is very accomodating for the diffusion of the Sharing Economy system. We can only dream that the Italy will be a Hub and not just another missed bus.